What is the Grassroots Summit? 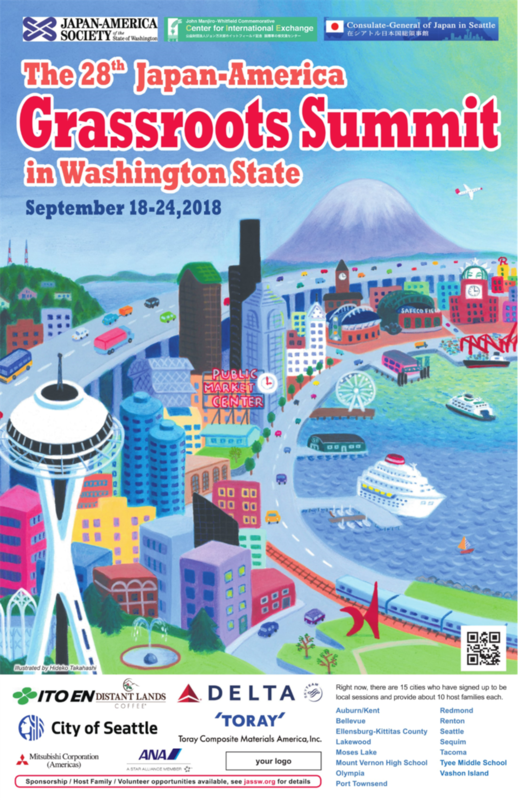 The Japan America Grassroots Summit is an annual large-scale exchange of Japanese and American people, held alternatively in Japan and America. The Summit aims to strengthen the peaceful relationship between our two countries by fostering friendship at the grassroots level. More information here. Although the visitors pay their travel expenses and personal tour fees, we are raising funds to provide proper welcome and farewell ceremonies. These ceremonies are important staples of the program and offer a wider international platform for exposure from program participants to high-level government representatives and diplomats. Sponsors will receive admission to our opening and closing ceremonies and be recognized at both ceremonies, on our website, and on promotional materials leading up to the Summit. Find out more about sponsor benefits here. If you would like to contribute to the Grassroots Summit, but are unable to do so at the listed sponsor levels, click here to make a donation under "28th Grassroots Summit." Follow the Grassroots Summit on Facebook!